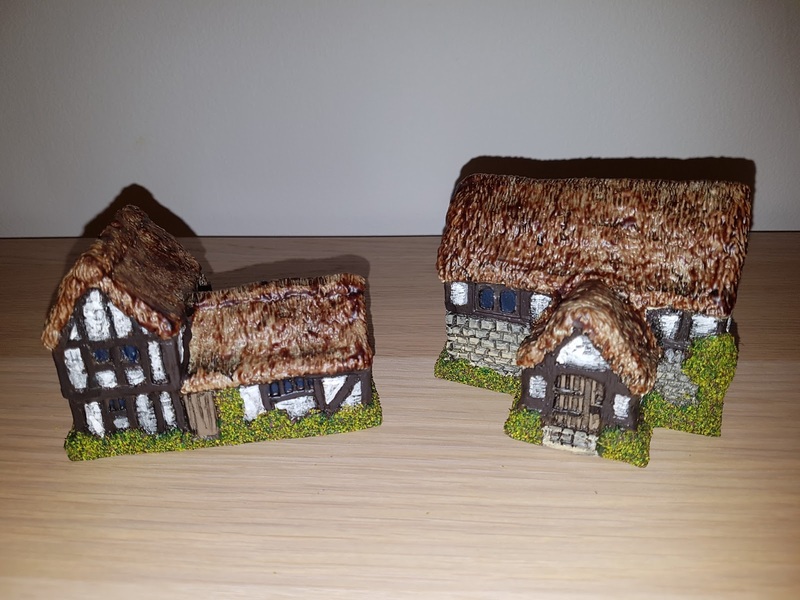 Whilst perusing fleabay I came across a 'lot' of ECW buildings for sale. All Hovels models, many from the English/rural range but also many that I didn't recognise. A quick look at the Hovels website and I found them in the medieval range. Sadly I missed out on winning the auction as I think the seller had absolutely nailed the colour of the thatch.